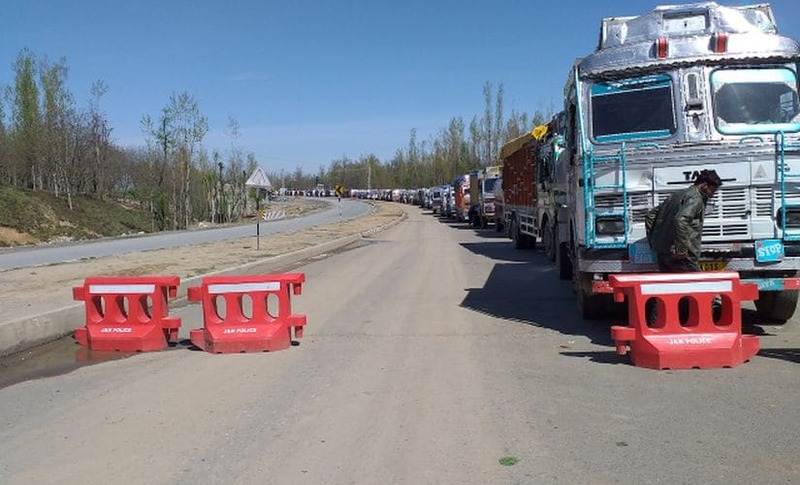 Karimabad: On Sunday, a group of youngsters huddled outside a shopfront in Karimabad, one of the most volatile villages in the restive Pulwama district. With elections to the Anantnag Lok Sabha seat approaching, the debate is not about how many people will go out to cast their votes, but who will vote. As the discussion veered from the recent bloodbath in this south Kashmir district, the sweeping arrests made by authorities in recent weeks and months and the candidates who are in the polling fray, one of the youngsters stood up. "Those who cast their votes will be trading the blood of our martyrs. India uses the participation of people in elections to show that all is well in Kashmir. And it is our responsibility to educate people about these sinister designs," Munawar Mir, a resident of Karimabad said. It was a rainy Sunday morning and the air in Karimabad was filled with tension after a group of boys confronted a mainstream political worker who had asked some youngsters to attend a political rally. "We are not ready to sell the blood of our brothers," one young boy told a local PDP leader. 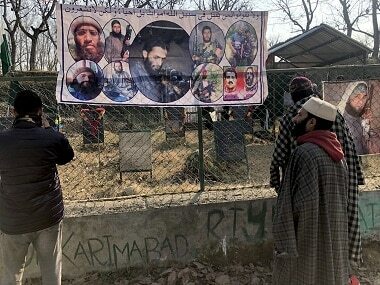 "He is good for Kashmir," said college-going Munawar in a sarcastic tone. "More repression and human rights abuse means more debate about Kashmir. And where there is more debate, it will create more awareness about Kashmir in the world. In the end, Modi will leave a fragmented India and politically-awakened children in Kashmir," he added. Like in much of the south Kashmir, residents here are seething with anger against the government and the policies of the BJP-led Centre. They say there is no difference between local politicians and "Delhi's governor" Satya Pal Malik. "Those people who go to attend the political rallies will have to answer for the blood of teenagers who have been killed by security forces on the day of judgment," Nadeem Kanjwal, 25, a student of Pulwama Degree College said. "There is no difference between Mehbooba and Ghulam Ahmad Mir (state Congress chief who is in the polling fray for Anantnag). They can't represent the true aspirations of Kashmir. They represent only themselves," he said. 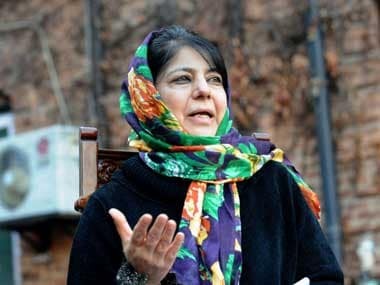 However, Mufti's rival National Conference did manage to register three consecutive wins — Ghulam Rasool Kochak in 1980, Begum Akbar Jahan Abdullah in 1984 and PL Handoo in 1989 — before it was finally won by Mufti, then a veteran Congressman, in 1998. After Mufti resigned to float the PDP, the National Conference's Ali Mohammed Naik won it back in the 1999 by-elections. Anantnag has recorded the highest incidents of militancy since the killing of Hizbul Mujahideen commander Burhan Wani in 2016. 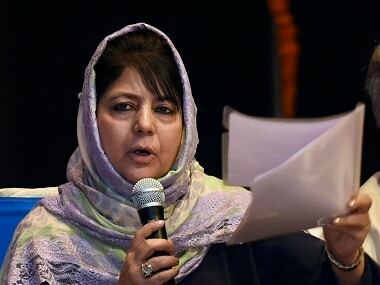 Mehbooba will take on the National Conference's Hasnain Masoodi, a former judge and a new entrant into politics, and the BJP's Muslim face, Sofi Yousuf, who is also a legislator in the state's Upper House. 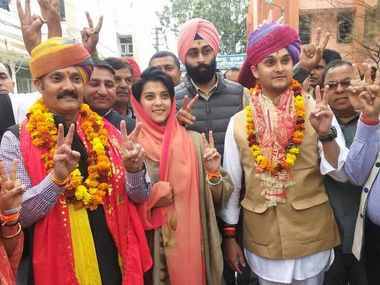 Political pundits are predicting a nail-biting contest on the seat with the entry of Congress' Mir dampening the prospects of Mehbooba whose party won 11 of 16 Assembly seats in the 2014 Assembly polls in south Kashmir. "The PDP's credibility has been badly hit in south Kashmir due to the alliance with the BJP. The party is being blamed for all that is wrong in Kashmir today. It will be difficult, if not impossible, for Mehbooba to win the seat again," Aijaz Ahmad Wani, a political commentator based in Srinagar, said.